How Gerard Saliot helped the ordinary people Fiji? When the tourism and hospitality in South Asia get discussed, one name which is sure to get taken is that of Louis Gerard Saliot. A pioneer in the development of tourism in Fiji, he has an experience of 25-years of working in the real estate. In 1994, he started his venture with the name of Euro-Asia Management Group and then contributed to the development of projects like Natadola Marine Project. A dream project of his, it helped in establishing garden, villas and apartments. This project was instrumental in creating his name in the tourism world. He was also responsible for developing the Natadola golf course which hosts the biggest PGA tournament in the region of South Asia Pacific. The services provided by the Euro-Asia Management Group includes designing, building and management of tourism projects. So, understanding the requirements of the hospitality industry, he has also initiated a project called the hotel modular development. 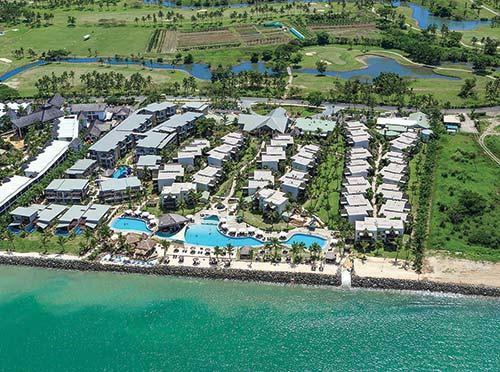 This project aims to develop the world-class hotel rooms and decorate them in a way which is preferred by real estate developers and international tourists coming to Fiji. The tourism industry of Fiji is in a healthy state due to his continuous efforts, but this was not always the case. The state of infrastructure in Fiji was in a sorry state, and the government identified it needed an overhaul to improve the state of tourism. They started calling foreign interior designers, engineers and developers. 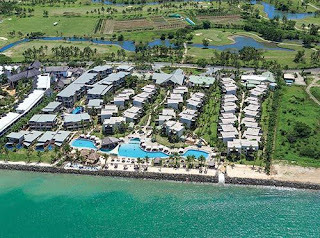 Gerard Saliot was one of the developers who came to Fiji. He chooses to work in the tourism industry after working in the real estate as he knows about the potential of the tourism industry. A better tourism industry would bring jobs to the country, and he was interested in helping the ordinary people of these small nations. Louis Gerard along with Euro Asia Group helps in the market study, financial planning and legal services related to the land. His contributions and visionary leaderships will be remembered for generations. Euro Asia Management Group is one of top companies building tourism projects in Asia Pacific region. The company was founded in 1991 by Louis Gerard Saliot with his two partners and offices at Singapore and Indonesia. The company has been offering specialised services for business development, project development and management services. Euro Asia Group has a team of skilled professionals to enable a rapid construction of tourism projects. The firm has been instrumental in building tourism projects, and many are in the pipeline. Apart from that, Saliot founded two sister projects – Hotel Modular Development and Euro Asia Hotel Contract. The companies help in the designing of hotel and restaurant, and procurement of necessary accessories for immediate construction. Natadola marine resort is a tourism hub built near the Natadola Bay. It is an important project to enhance the tourism industry of the country. The project has beautiful resorts, villas, themed gardens, marinas, and golf course. It has become an ideal destination for visitors looking to change the way of spending a holiday. It is another important project of Euro Asia Group undertaken in Bali under Tourism Master Plan in Indonesia. The company has been involved in designing and implementation of projects. The project has everything with kid club, car-free zone, marinas, villas, resorts, and marinas. It will change the way of spending a holiday. The contribution of Gerard Saliot in the development and management of tourism projects won’t be forgotten quickly. The tourism industry is one of the fastest growing industries in the world. The sector is on the course of biggest expansion throughout the globe. But, many regions are unable to attract tourists due to the absence of proper infrastructures necessary for hospitality and ancillary services. It shows the importance of developing infrastructure to bring development in the tourism sector. 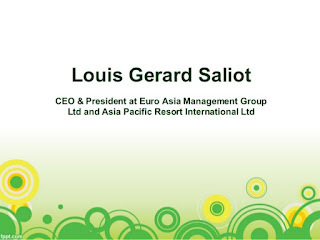 Realising this importance, Louis Gerard Saliot founded a company Euro Asia Management Company in 1991. Euro Asia is offering specialised service in the development and management of tourism projects for the leisure destinations and hospitality sectors. The hospitality industry is an integral part of the tourism industry. Establishments of foods, lodging, sports, shopping, and other thrilling activities are essential in a resort. People come to relax, rejuvenate and enjoy quality time with family or loved ones. Thus, resort should contain villas, spas, marinas, and other amenities to enjoy. To change the way of spending holidays, many tourism projects are being established in South Pacific region -Indonesia, Singapore, Fiji, and East Java. Gerard Saliot founded two more ventures to provide services to enhance construction of tourism projects. Hotel Modular Development and Euro Asia Hotel Contract for the construction of hotels, restaurants and others within the deadline of clients. Owing to the commendable works of Saliot towards the tourism industry, he will be remembered by the generations to come. Why is Louis Gerard Saliot Popular in the Tourism Sector? Euro Asia one of the few companies involved in the construction and management of tourism hotspots in South Pacific region. The region has a huge a potential for tourism industry if the development of proper infrastructure takes place. Development of a resort needs due consideration and help of real estate experts in building hubs into a world-class holiday destination. This is what Louis Gerard Saliot has been trying to provide with his venture in this region. 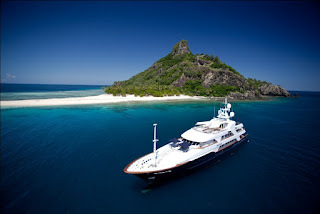 The countries situated in the South Pacific region possess islands, unspoilt places, and beautiful beaches worth visiting. Jakarta, Indonesia, East Java, Fiji, and Malaysia are the top countries where tourism industry can boom if proper infrastructure is developed. Sensing the importance of tourism industry in generating employment and foreign exchange, Saliot has started assisting countries through quality services to develop a master plan. He and his team of professionals have successfully built numerous projects in these countries, boosting the tourism sector to a large extent. Gerard Saliot is a visionary leader and experienced in building tourism hotspots. He had over 35 years of work experience in the real estate firm. In every resort, there should be infrastructure for the hospitality and ancillary services. Thus, hotel and restaurant are an integral part of the resort to be an ideal holiday spot. To help companies in delivering quality hospitality service to the customers, Saliot has established the Hotel Modular Development Venture. It is a prominent firm that offers assistance to design and build hotel and restaurants maintaining the quality at a reduced cost. Owing to his work and contributions to the tourism industry, Saliot will be remembered for generations to come. EuroAsia is one of the most popular companies offering quality services to the real estate firms. It is involved in the construction of tourism hubs and resorts for companies. Louis Gerard Saliot is the CEO/President of the company offering services to the development of holiday and leisure destination. The primary reasons for succeeding in the projects are due to an expert team of professionally supervised by Saliot. The services are offered through three different companies which are established and headed by Saliot. Currently, GerardSaliot is working on numerous projects to develop tourism projects and resorts. His contributions and roles will be remembered for generations to come. How Louis Gerard Saliot Helps in Building Tourism Hubs? A resort is an ideal place where modern facilities are available for tourists to enjoy their stay. It should contain establishments for foods, shopping, relaxation, and thrilling activities. It is why the resorts contain shopping mall, spa, apartment, sports complex, and marinas for thrilling activities. Building an ideal project is not easy without experience and expertise in this field. 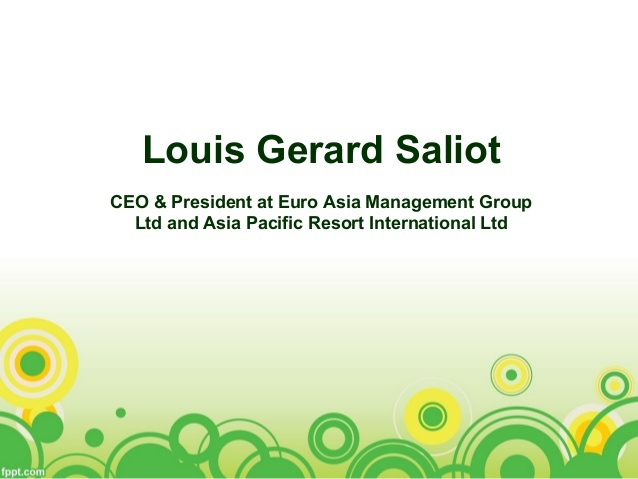 Sensing the importance of building tourism projects, Louis Gerard Saliot had founded the EuroAsia company in 1991. The company offers specialised services for the project development and management to the customers. Till now, the company has completed numerous projects in the South Pacific regions. The company provides all these services under the supervision of Saliot utilising innovative ideas and equipment in building projects. This company aims to build projects with world-class amenities that ever visitor dream in a hub. In addition, Gerard Saliot has founded another venture Hotel Modular Development. It offers hotel design and construction at reduced costs. It designs and constructs hotel rooms and interior in high quality with modern amenities. It is an essential service for the hotel and restaurant to enhance the hospitality industry in the tourism sectors. The role and contribution of Saliot in the tourism industry are immense. It is the primary reason why Saliot is a popular figure and accoladed with prizes in many countries for exceptional services. An ideal holiday destination contains infrastructure, amenities and facilities for adventure activities. It needs special places for spending a holiday for families and couples to enjoy quality times together. Creating tourism hubs requires experience and expertise in building facilities that remain etched in the minds of vacationers forever. Hence, it is a challenge that most fail to thrive. Louis Gerard Saliot, along with his highly professional team, has been doing this work for a long time in the South Pacific region. Understanding the potential of the industry in creating employment and foreign exchange, he had founded the Euro Asia Management Group in 1991. The company offers specialised services in project development and management to real estate firms in building holiday destinations and tourism hubs under his supervision. He has over 35 years of work experience in the real estate industry. EuroAsia has been involved in the master-planning, designing, and construction of tourism hubs in Fiji, Jakarta, Indonesia, and East Java. The company partnering with DGA Paris provides architectural design for the centres to clients for approval and implementation. Equipped with skilled professionals and modern equipment, the company can integrate world-class amenities into every project. Apart from that, Gerard Saliot has founded sister project to deliver services in the tourism and hospitality industry. Hotel Modular Development, Euro Asia Hotel Contract, and Sunpark resort are a top venture of the company. No matter what, Saliot will be remembered for his dedication and skill in building world-class tourism hubs for generations to come.